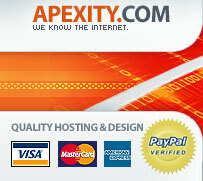 Apexity works hard to provide you with reliable services and the best possible support. If you can not find what you are looking for on our web site, please contact us anytime. Need help setting up your account or email? Check out our Getting Started page.